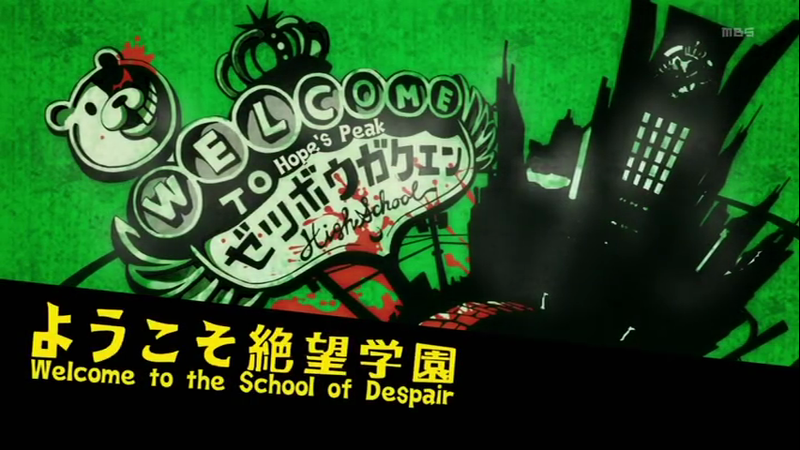 Plot Summary: In Hope’s Peak Academy, 15 students who are considered “super” in their own ways are admitted. Monokuma, an electronic bear, appears in the gym offering a way out of the tightly-secured school. However, the rules are to kill and find out who the killer is or stay in the academy forever. The class trial begins. Togami points Fukawa Touko as the killer because he knows she is Genocider Sho. Touko has multiple personality disorder. 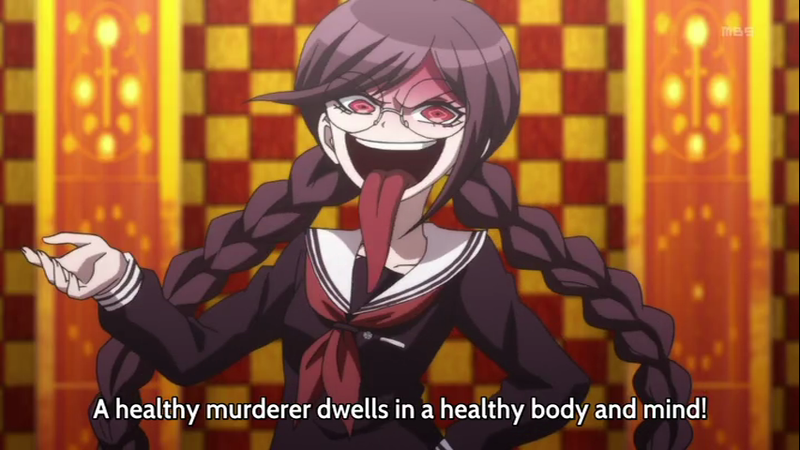 Touko sleeps and Genocider Sho arises. She confesses she is not the killer because the techniques in killing were not the same. 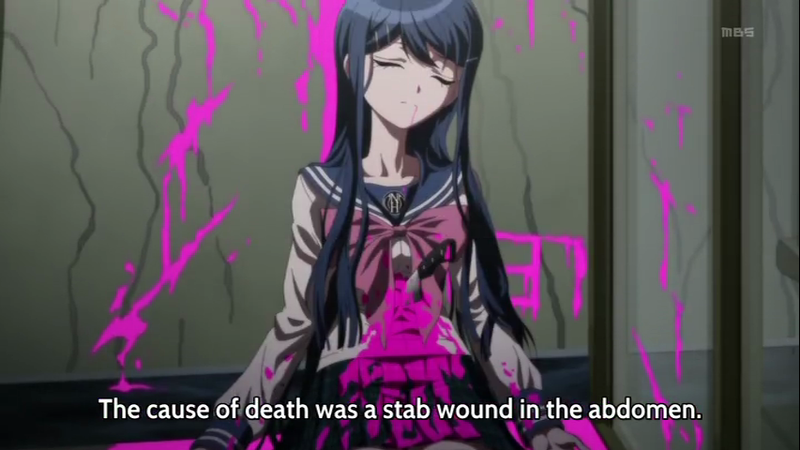 She uses scissors to crucify her victims, and Fujisaki was tied to railings using a power cord. She also revealed that she only kills men. Naegi deduces that Togami must be the killer since he is the only one familiar with how Genocider Sho kills people. Togami admits that he modified the scene to make things interesting but is not the killer. 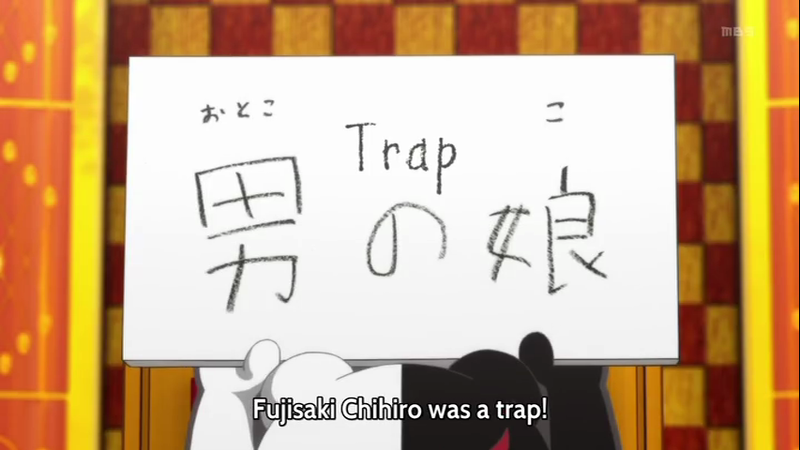 Kirigiri admits that Fujisaki in fact is a boy. Mondo accidentally slips that Fujisaki’s jersey is blue, which should only be revealed to Celestia since she is the only one who saw Fujisaki the night before he died. 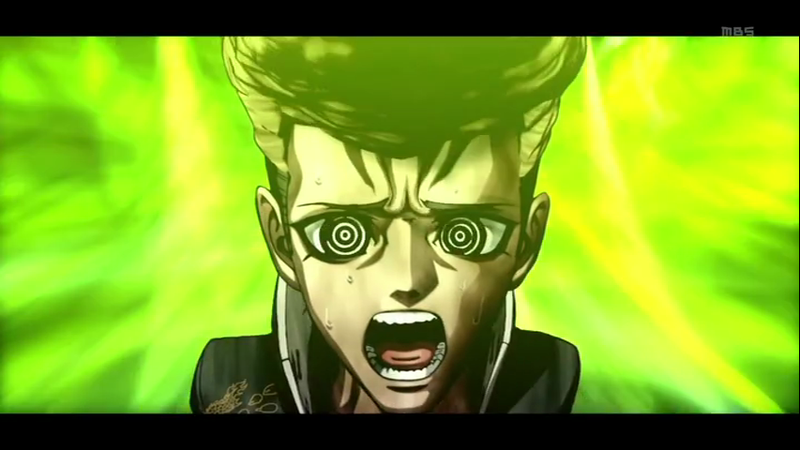 Mondo was envious of Fujisaki who revealed his secret to him, in the hopes of becoming stronger. 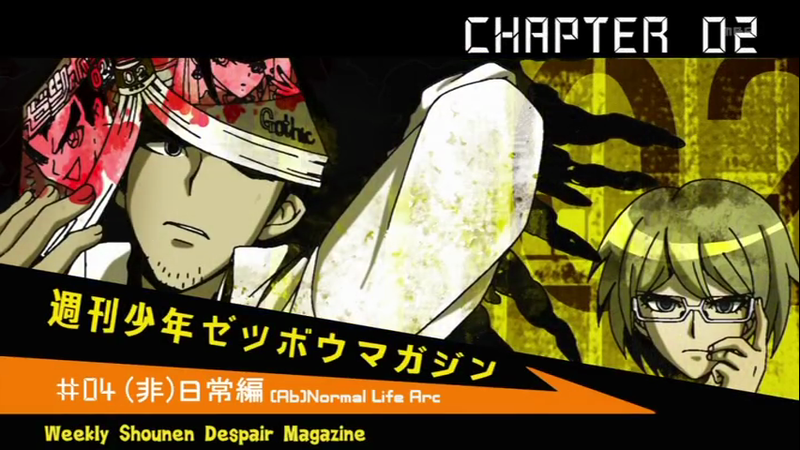 In order to protect Fujisaki’s secret, he brings his corpse to the girl’s changing room. He is sentenced to death by ultra-speed motorcycle. 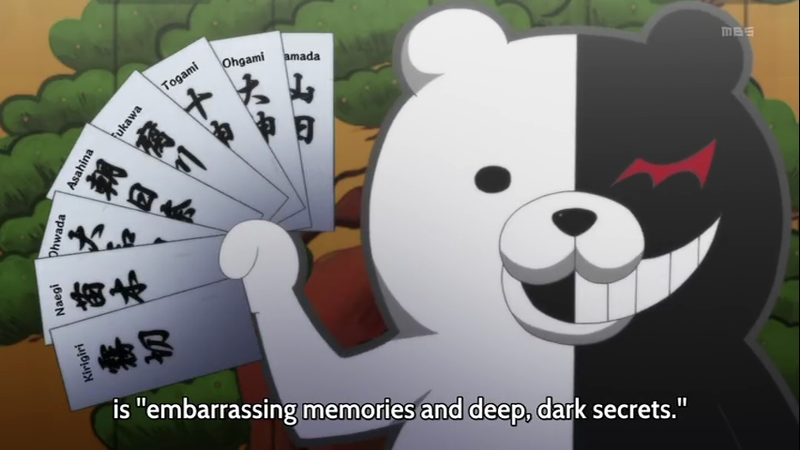 At the end of the episode, Monokuma is seen talking about a sixteenth student. Thoughts: I forgot how this is the anime world, and it is full of traps. I did not expect the killer to be Mondo though. I kind of like his idiotic combination with Kiyotaka. I did not figure out the answer to the murder this time. Maybe I will get lucky the third arc? Monokuma opens the second floor to the students. There they see a library and swimming pool. There are gender-specific changing room that can only be accessed with the ElectroIDs. “Normal” things happened. Fukawa Touko is revealed to have a crush on Togami Byakuya. Naegi witnesses a sauna battle between Oowada Mondo and Ishimaru Kiyotaka who becomes the best pals the following morning. Monokuma got bored so to motivate another killing, he gave them a time limit, after which he would reveal an embarrassing incident in their lives if he doesn’t have a murder. The following morning, Fujisaki Chihiro is found crucified in the girl’s changing room. The words “Bloodbath Fever” are seen in the wall. They investigate. For some weird reason, the posters are unmatched and a coffee stain from the carpet disappears. Togami tells Naegi that he believes this to be the work of Genocider Sho, a famous murderer who crucifies victims and writes Bloobath Fever in the crime scene. Thoughts: I think this anime gives way too much information. I knew something was going to happen in the changing rooms. I get the part that the changing rooms were exchanged since the posters are unmatched and the coffee stain was gone. The anime was good in concealing the murderer from me this time though. 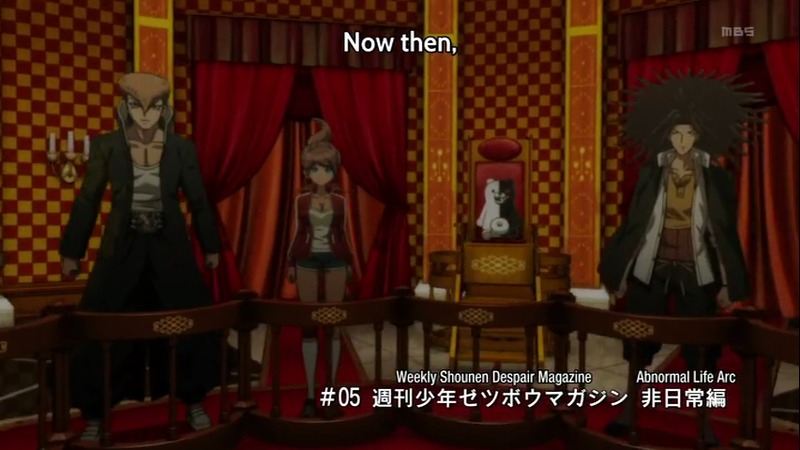 Monokuma explains the rules of the rooms to Makoto. Makoto’s bathroom door has a bad door handle that only opens when you lift it properly. Sayaka exchanges rooms with Makoto, explaining that it would help calm her down. The next morning, she is found dead in Makoto’s bathroom with a kitchen knife in her abdomen. The Monokuma gathers the students to gym, explaining that a class trial will be held after a few hours. In the class trial, if the culprit is found, he/she will die. If the class convicts the wrong person, everybody else but the culprit dies. Enoshima Junko protests and is killed by Monokuma with spears. They look for pieces of clues. Makoto watches Sayaka’s motivation DVD with all her idol members being murdered. Thoughts: Holy mother of God! I did not expect Sayaka to die! That model Enoshima too! I am starting to like this anime more and more. That Monokuma is starting to look like the stuffed animals in Kampfer. Plot Summary: In Hope’s Peak Academy, 15 students who are considered “super” in their own ways are admitted. Monokuma, an electronic bear appears in the gym offering a way out of the tightly-secured school. However, the rules are to kill and find out who the killer is or stay in the academy forever. 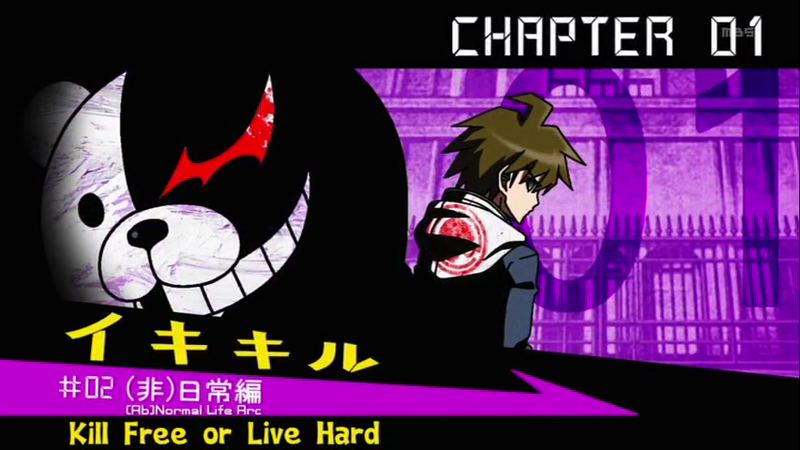 The main protagonist, Naegi Makoto wakes up and finds himself in a classroom secured with metal bolts. He goes to the gym and finds 14 other students, one of whom he attended middle school with, Maizono Sayaka. 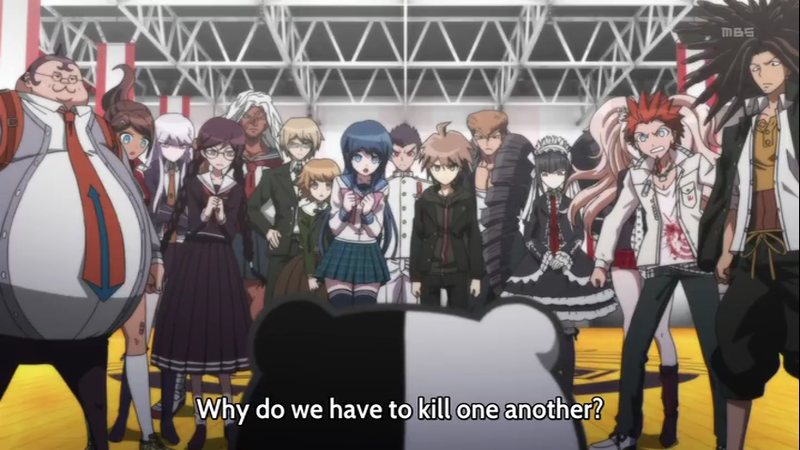 The 15 “super” students meet Monokuma, a highly sadistic remote-powered stuffed bear stating the rules of the school. The only way to “graduate” from the school is to kill someone and not be discovered. For a few days, everyone decides to wander and look for an exit. When the Monokuma got bored, he motivates everyone by allowing them to watch a DVD with something horrible happening. In Makoto’s case, it is his family dying. Thoughts: I noticed similarities to many anime series and drama series I have seen before. 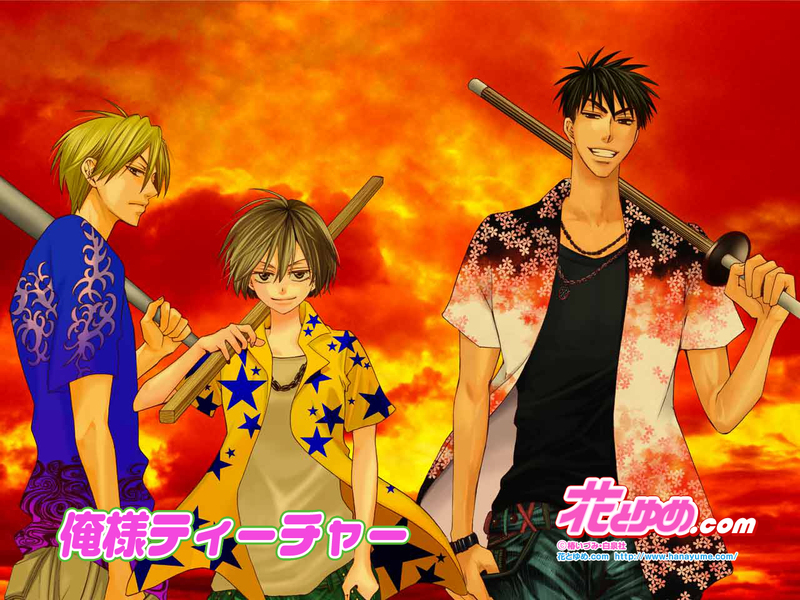 For one, the theme of this anime is kill or be killed, which is similar to Battle Royale. In BR however, they are forced to kill within a time frame. In this anime however, they are given the chance to participate by killing or by finding out who the murderer is. You can also see similarities to Liar Game, except you are not being conned with money. In Liar Game, you have to outwit your enemy by deceiving them and I think that is what is about to happen to this anime. Similar anime where you are trapped also include Sword Art Online and Btooom. I am guessing Sayaka is not as weak as she appears to be. I think she might be a serious competitor for Naegi in the end. 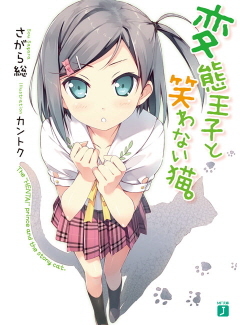 I might follow this anime. It has a good plot.